“Narrative-Making in the Aftermath of War” will focus on the capacity of narrative-making to help returning service members deal with the after-effects of war and reintegrate into their communities. 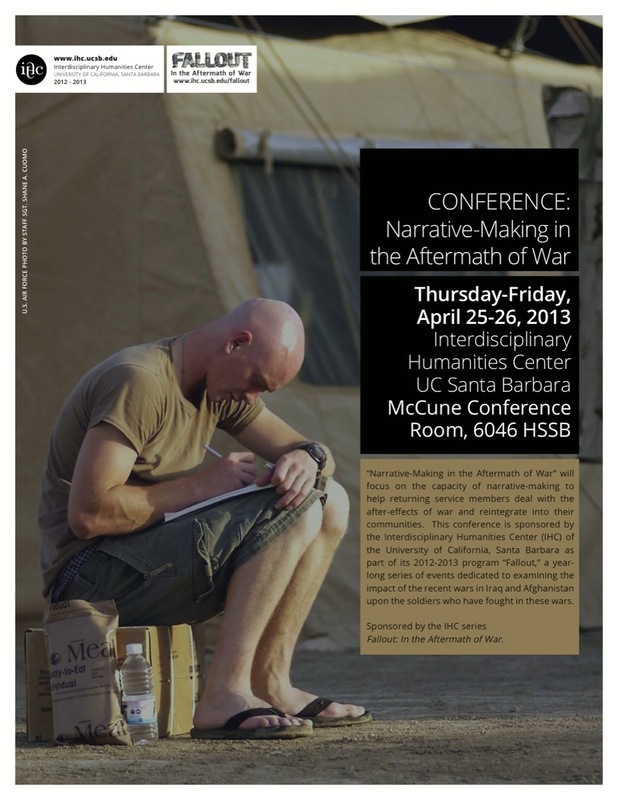 This conference is sponsored by the Interdisciplinary Humanities Center (IHC) of the University of California, Santa Barbara as part of its 2012-2013 program “Fallout,” a year-long series of events dedicated to examining the impact of the recent wars in Iraq and Afghanistan upon the soldiers who have fought in these wars. Please click here for more information about the conference participants.